“The council told me my Gemini was broken down, chopped up, cooked and turned to biofuel.” – Veronica McMongale about her lost one-year-old cat Gemini. She lives in Northern Ireland. How widespread is this practice? Veronica McMonagle with a picture of her cat. Photo: Veronica. Today the online version of the Mirror newspaper reports something that does not surprise or even shock me because as I have said in the past dead companion animals are financial assets if one looks at them in a purely commercial way. This story reinforces that concept. We are told that councils (is it commonplace?) are sending the remains of cats and dogs killed on roads to rendering facilities where the end product is fat used as a green alternative to petrol and diesel for farm vehicles and aircraft. This links in with the campaign to give equal rights under the law in the UK to cats killed on the road by making it obligatory for drivers to report an accident in which they have been involved. This would allow attempts to be made to reunite the remains with her/his owner. Returning to this uncomfortable story, many cat welfare advocates will be in uproar about this. It is treating cat companions as commercial products. And, yes, on hearing this there will also be many people who are ambivalent about cats or who hate them who will say that cat owners can prevent this by keeping their cats inside. Received and understood. Clearly the owner has to take some of the blame for this distressing outcome. She did not microchip. That would have prevented this. She did not keep her cat safe. I understand the issues there though; it’s complicated and in the UK 99% of cat owners let their cats roam outside. However, many people will find the council’s behaviour unconscionable. It is too insensitive. There must be a better way which respects the cat and the owner’s feelings. 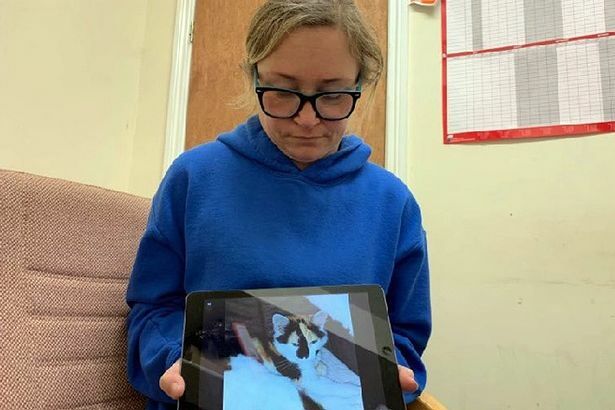 The story is a further argument for changing the UK law on cats killed on the road to match that concerning dogs (reporting is mandatory for dogs). There is also a good argument for obligatory microchipping. This entry was posted in road traffic accidents and tagged Ireland, road traffic accident, roadkill by Michael Broad. Bookmark the permalink.